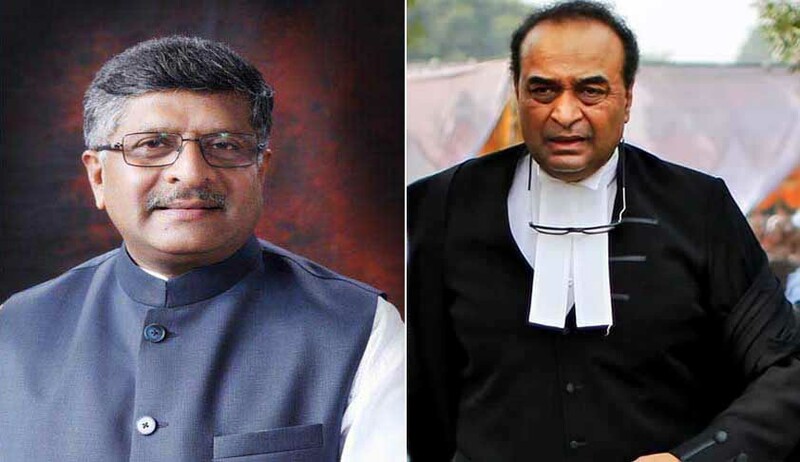 According to reports, the Attorney General, Mukul Rohatgi has suggested to the Acting Governor of Tamil Nadu, CH.Vidyasagar Rao that he should consider directing the Tamil Nadu Legislative Assembly to call a special session, to conduct a composite floor test, for both the Chief Minister, O.Paneer Selvam, and his rival claimant, who till yesterday, was V.K.Sasikala. Following the Supreme Court’s ruling setting aside Sasikala’s acquittal by the Karnataka High Court, in the Disproportionate Assets case, Sasikala has been replaced by Edappadi Palaniswamy, as the Legislature Party leader of AIADMK, and he has duly staked his claim before the Governor today. Should the Acting Governor, follow the advice of the AG, and send a message to the Assembly to have a composite floor test for both the incumbent Chief Minister, and Palaniswamy within a week? The Law Minister, Ravishankar Prasad, in his interview to the Times Now Television this evening, has publicly expressed his disagreement with the proposal to have composite floor test in Tamil Nadu assembly. According to Prasad, the right course, in his view as a student of the Constitution, is to provide the first opportunity to the incumbent chief minister to prove his majority, and if he fails, then the Governor can ask the next claimant to demonstrate his strength. Although the AG drew sustenance for his proposal from the 1998 experiment in Uttar Pradesh, wherein such a composite floor test was ordered, and the winner decided, under the direction of the Supreme Court, the innovation has not been widely endorsed by Constitutional lawyers. The Supreme Court adopted the similar method, in Jharkhand in 2005, when BJP leader Arjun Munda had challenged the government formation by JMM supremo Shibu Soren. But the Supreme Court-directed composite trust vote never happened, as Soren resigned as the Chief Minister, paving the way for Munda to be sworn-in before the deadline, set by the Supreme Court. A three-Judge Bench, comprising the Chief Justice R.C. Lahoti, Justice Y.K. Sabharwal and Justice D.M. Dharmadhikari, held that the petitioner, Arjun Munda, had made out a strong prima facie case for grant of interim relief. The Bench observed: "If the averments of the petitioner are correct, then the action of the Governor [in appointing Mr. Soren] is a fraud on the Constitution. We want to prevent a further fraud on the Constitution by issuing interim directions." The Bench also restrained the Governor, Syed Sibtey Razi, from nominating an Anglo-Indian member to the Assembly, saying this could wait till a legitimate government took over after the floor test. It said that only the duly elected members of the House would participate in the floor test. The Bench advanced the floor test date, wondering why the Governor had given five days more to the Soren Government to prove its majority, though the MLAs were to take oath on March 10. The Governor had himself advanced the date of the floor test from March 21 to March 15 after the President, A.P.J. Abdul Kalam, summoned him. "When the action of the Governor had bothered the President to summon him, how can we shut our eyes to all the happenings," the Judges asked. However, another Bench comprising Justices A K Mathur and Markandey Katju, while deciding another case, declared later that the three-judge Bench judgment in the Jharkhand case as well as in Jagdambika Pal case involving the UP legislative assembly in 1998, virtually snapped the fine thread that separated the domains of the three organs — legislature, executive and judiciary. These two cases were "two glaring examples of deviations from the clearly provided constitutional scheme of separation of powers", the Bench said. "The interim orders of this court, as is widely accepted, upset the delicate constitutional balance among the judiciary, legislature and the executive," it said quoting former Chief Justice J S Verma expressing the hope that the apex court would soon correct it. Both the Uttar Pradesh and Jharkhand orders of the Supreme Court came in for criticism from the former Speaker, Somnath Chatterjee. The Supreme Court again relied on these two precedents, while ordering a floor test in Uttarakhand last year. Uttarakhand, however, was not a composite floor test, as only the dismissed Chief Minister, Harish Rawat, was permitted to seek confidence in his ousted Government. When Rawat won the confidence vote, the Centre rescinded the President’s rule, and Rawat was restored as the Chief Minister. The Supreme Court had, however, disallowed nine rebel MLAs of the Congress Party, who were disqualified by the Speaker, from taking part in the floor test, due to which Rawat had a easy victory. Those disqualified MLAs challenged their disqualification in the Uttarakhand High Court, which rejected their challenge, following which they filed an appeal in the Supreme Court, which is pending. In their appeal, they raised a very important issue, citing the Arunachal Pradesh verdict, in which it was laid down that the Speaker, who is facing a no-confidence motion himself, cannot decide the disqualification of the MLAs. With fresh elections being held, it remains to be seen whether their appeals become infructuous. The composite floor test or the floor test, therefore, is riddled with controversies, and may not be the right remedy for Tamil Nadu.